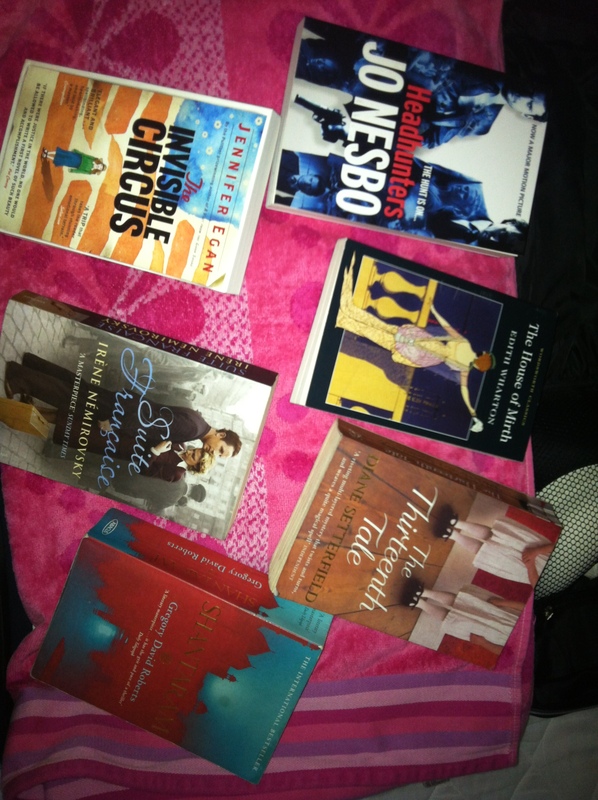 I love book lists – browsing them for things I haven’t heard of, getting an idea of other people’s reading habits. Today I decided to make my own. Monday saw the start of Book Week Scotland, an initiative run by the Scottish Book Trust to promote reading in Scotland. There has been lots going on on twitter, and you can read what it’s all about here. They have some pretty awesome book lists on a variety of topics from Best Twisted Romances to 10 Books with Really Good Bad Guys. Have a look at their full list of lists here. A lovely example of some of the things they are doing is the treasure hunt to find paper sculptures (the first to be won this week was based on Alasdair Gray’s Lanark). This all links back to a story a last year when a mysterious sculptor left a paper sculpture in the Scottish Poetry Library (pictured above) with a message in support of libraries. 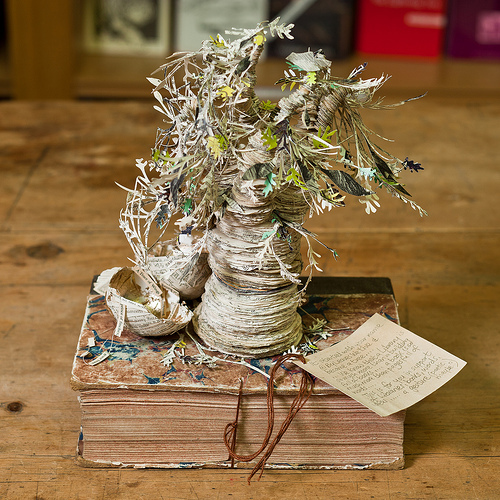 You can read the full, charming story on the Scottish Poetry Library’s website and take a look at some of the beautiful paper sculptures here. 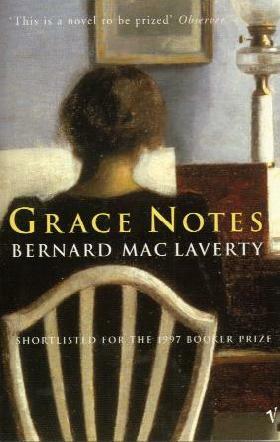 In Bernard Mac Laverty’s Grace Notes, Catherine McKenna, a composer, struggles to cope with post-natal depression, the break-up of her relationship with the child’s father, Dave, and the death of her own father. The novel opens as Catherine returns to her home town in Northern Ireland for her father’s funeral, trying to rebuild a connection with her mother after an estrangement and recalling the events that separated them. On her return from Ireland, in a series of parts we see her life on Islay with Dave, her return to Glasgow and eagerness to see her daughter Anna again, and her battle with the depression which threatens to suffocate her, trying to bring to life the music of her inner hearing, and share her musical compositions with the world. Grace Notes is a novel that sings, filled with music and the sounds that life can create. Everyday things are given a new aural quality, and I found myself listening out for these new sounds, like I was learning how sound could be written down. Never has a book been so beautifully noisy. The past few weeks have been very quiet on the blog front. I have been reading but I have been a bit all over the place, dipping in and out of poetry, short stories and a couple of novels. I thought I’d do a little summary of my reading in the past few weeks as I haven’t done a review for a little while.